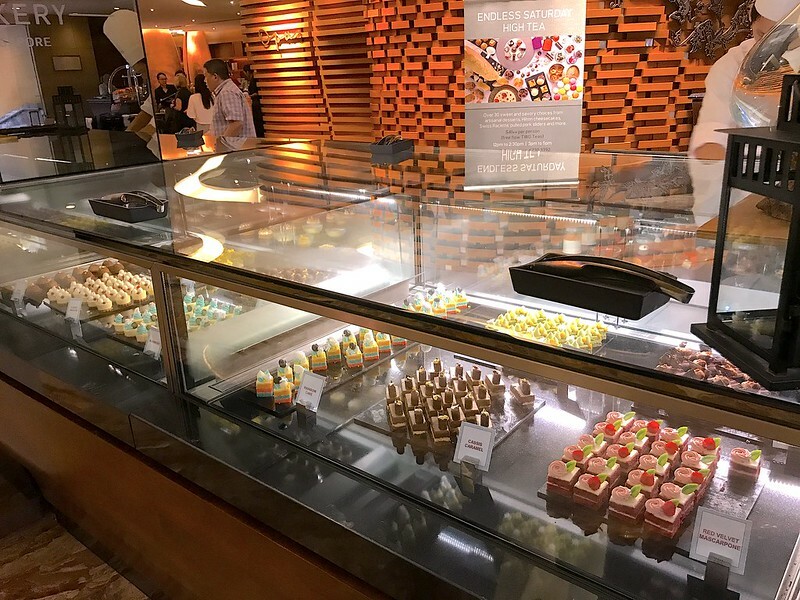 Many of us remember the Hilton's cheesecakes as one of the best in Singapore. Even before their renovation the hotel was a hot favourite for high tea. 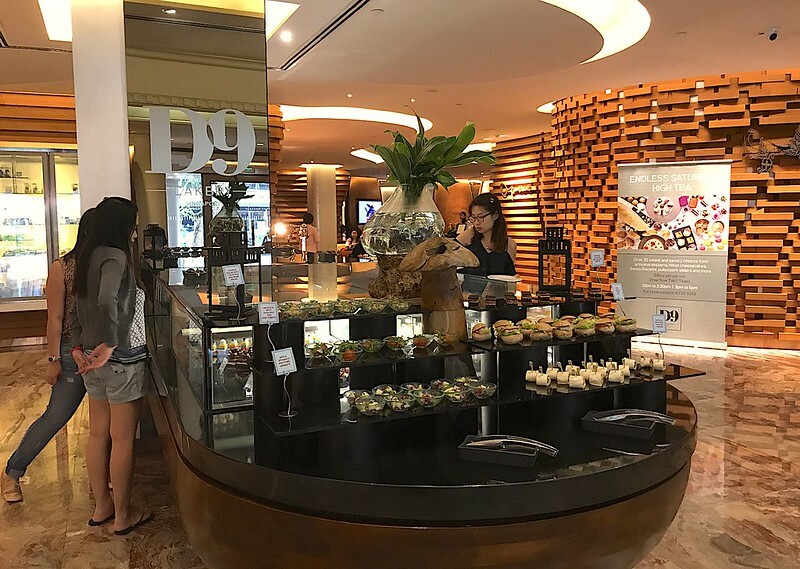 Now the D9 Cakery at Hilton Singapore has launched a Saturday high tea featuring unlimited handcrafted desserts and those famed Hilton cheesecakes encased in a six-meter showcase. 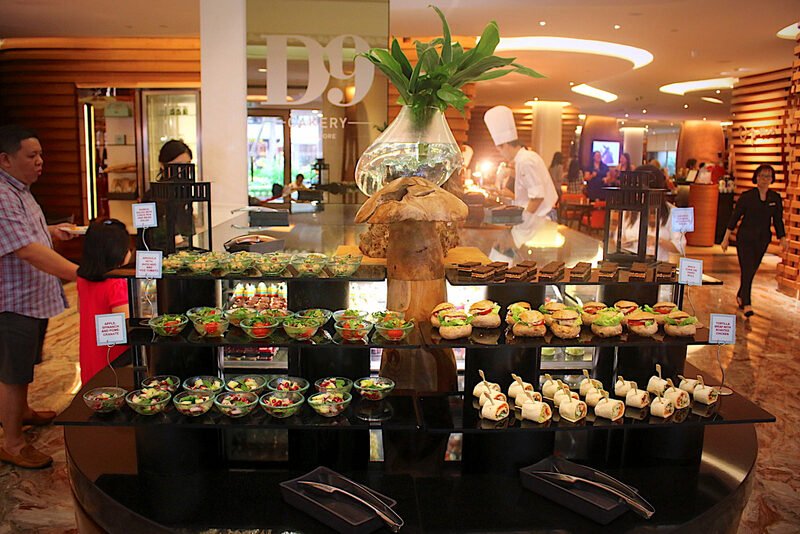 Right at the entrance you are greeted by a sleek black showcase of little savoury bites and glass drawers of desserts. You'll find gourmet dessert jars with flavours like Ultimate Chocolate Decadence (three types of premium Valrhona chocolates, caramelized hazelnuts and walnuts), The Apple of My Eye (fresh apple compote and Calvados apple brandy), Citrus Panna Cotta (four types of citrus fruits) and Cassis Chestnut. The selection includes artisanal cake creations of Ivory Coffee (a combination of 28% white chocolate and fragrant Illy coffeebeans), Matcha Azuki (freshly baked with premium green tea powder and red bean paste exclusively flown in from Japan), Fudgy Chocolate (rich with 68% Valrhona dark chocolate) and Cassis Caramel (sweet Valrhona 36% Caramélia chocolate and fruity blackcurrants). The signature Hilton cheesecakes come in four flavours of classic American, blueberry, caramel, pecan and maple. There are also freshly baked Vanilla and Raisin scones with clotted cream and jams. But desserts are not the only draw. 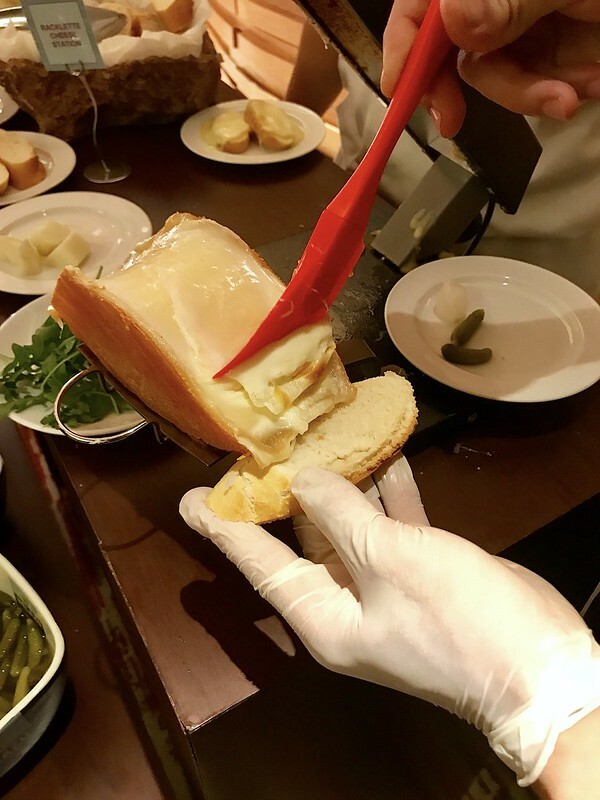 Cheese lovers were lining up at the à la minute Swiss Raclette melted cheese station, which had an array of accompaniments like pickles and olives. 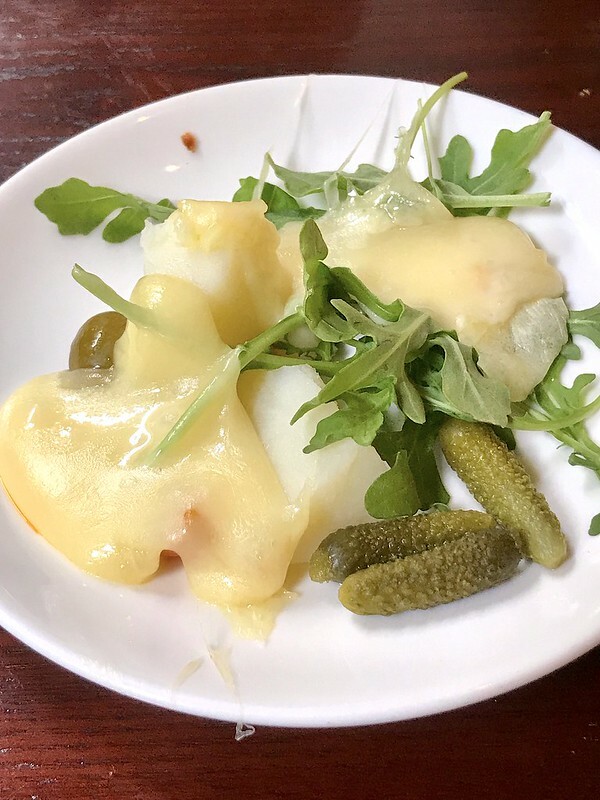 You can have the raclette cheese melted over baguette or potato and rocket leaves. The tartness from the cornichons help to cut through the richness of the cheese. 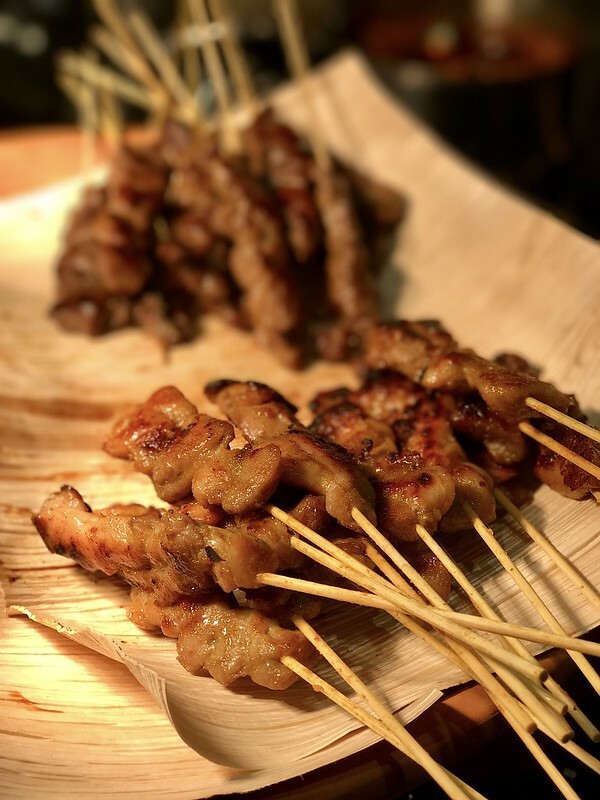 The highlight for me though is the beautifully grilled satay. 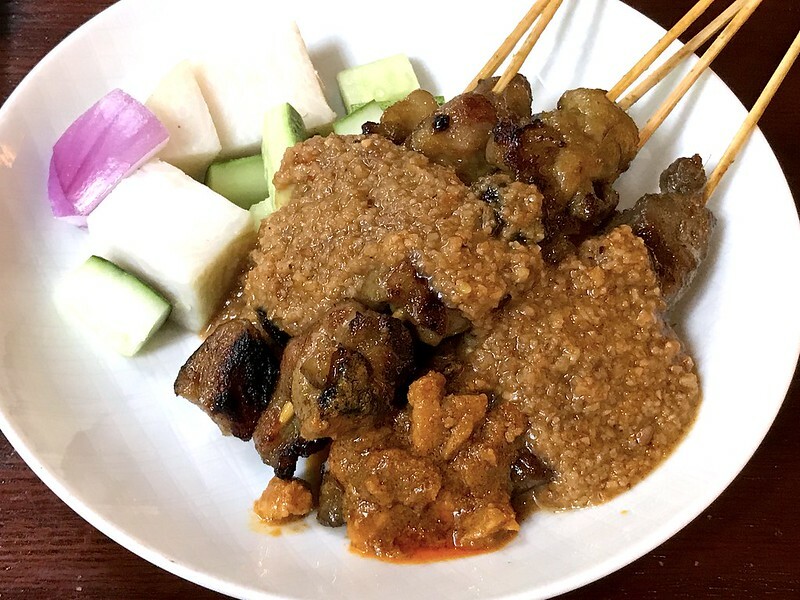 It's so nice to have huge meaty chunks instead of the increasingly shrinking satay you see elsewhere. The peanut sauce is also commendably aromatic. I think we went back twice for this. I'm tempted to return just for this. 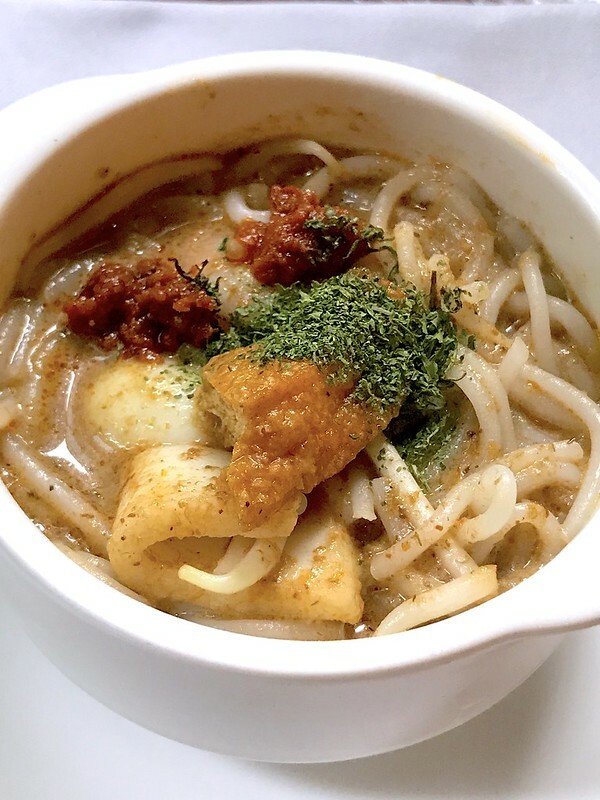 We also found the laksa satisfying. It's at the live noodle station. Other savoury items include juicy pulled pork sliders, croque monsieur, roasted chicken tortilla wraps and mini tuna burgers. 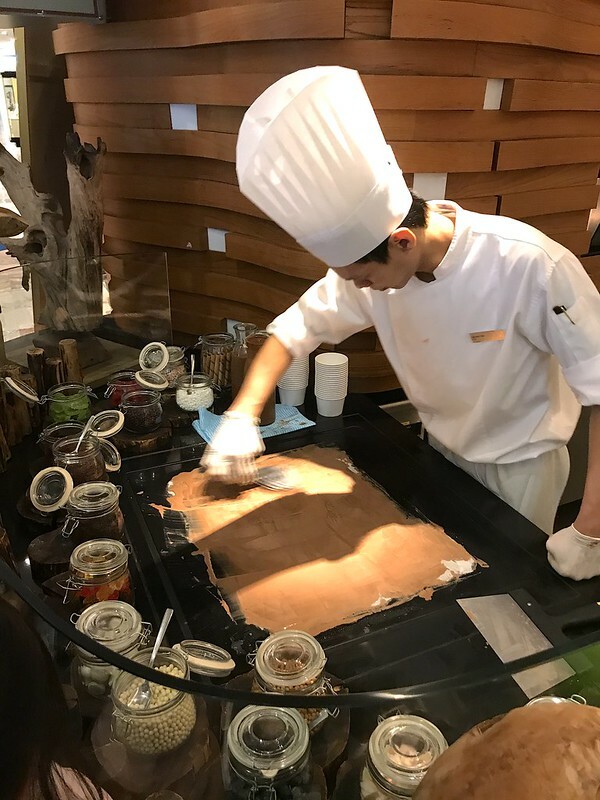 The live Teppanyaki ice cream station right in front does interesting concoctions with all kinds of toppings. Dress it up anyhow you like. 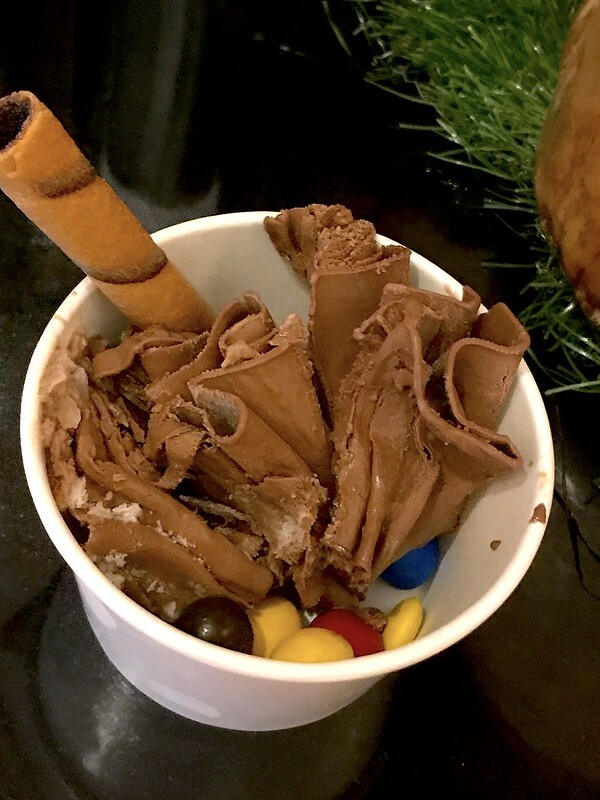 My girls picked a mix of chocolate treats - wafer rolls and M&Ms - to go with the chocolate ice cream. 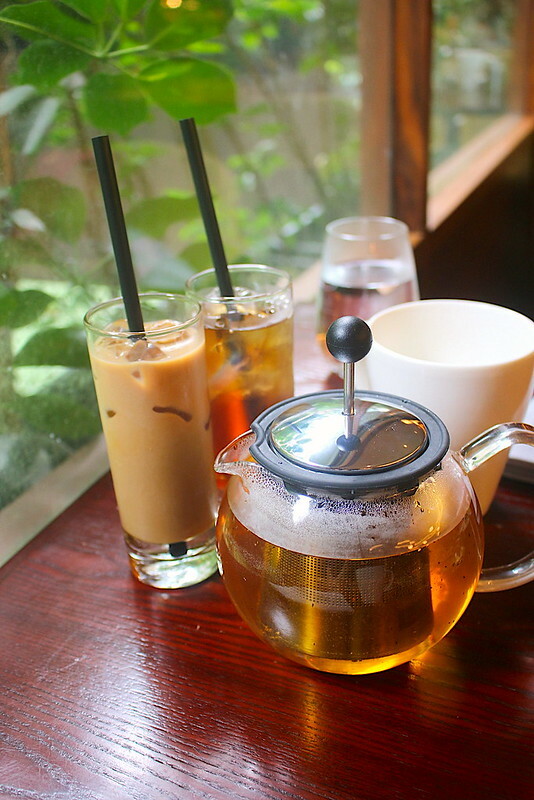 Complete your high tea experience with ten selections of Asian and European TWG tea blends or top up an additional $35 for bottomless rounds of sparkling wine, selected beer, white and red wines. 1st seating: 12p.m. to 2:30p.m. 2nd seating: 3p.m. to 5p.m. S$21++ per child (aged 5 to 12 years old) / Children below the age of five dine for free. For reservations, call +65 6730 3392 or email D9Cakery@hilton.com. Many thanks to Hilton Singapore for the invitation.